Great video from the awesomely creative folks at Youth Specialties! If you've never attended one of their National Youth Workers Conventions - we highly recommend you do so in 2011! CSM facilitates mission trips in major urban cities. CSM hosts middle/high school youth groups and introduces them to different ministry sites in the city. The emphasis is on relational ministry. While there are some work projects, most of the time will be spent understanding and getting to know God’s people from all walks of life. 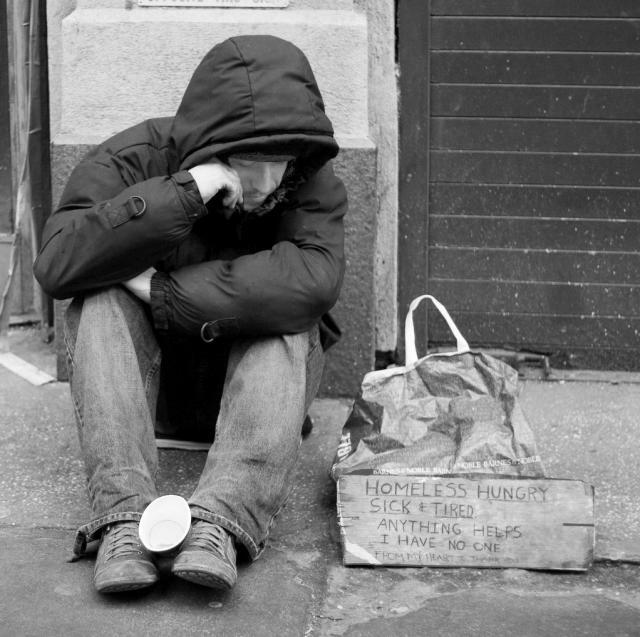 Some ministry sites focus on homeless, children, medically ill and others. When not at the ministry sites, we share a meal at one of the ethnic restaurants in the city. In the evenings, the city host leads a debrief session where much reflection will take place. I chose to work with CSM because of the emphasis on the relational ministry. Often times, a mission trip will consist of mostly work projects. CSM is different in that its mission focuses on getting to know, understanding and most of all loving God’s people. It really opened my eyes to the Kingdom of God and allowed me to love people who I would normally pass by on the street. It is such a unique experience for anyone participating in the trip. My experience with CSM was incredible. From the prayer tour to the last debrief session, I experienced God changing me into the person I was meant to be. I was able to love others more like God loves His people. If I were to come with any stereotypes in my mind, they would have been shattered. I witnessed people coming to accept Jesus as their personal savior. I witnessed people becoming broken for what breaks God’s heart. Finally, I met some of the most incredible people with the most incredible stories. I learned that I don’t really know someone until I understand where they have come from and I know their story. It is easy to assume things about people but we need to realize that everyone belongs to God. We shouldn’t assume that anyone is too far gone for the redemption that Jesus Christ provides. The following blog post is from Rachel Hamilton, former Los Angeles City Director for CSM and current Vice President for Ordinary Saints. Rachel is a rich resource for anyone seeking a mentoring relationship. Check out her most recent blog! Catching up with a dear friend this week, we fell to talking about previous mentors. One of the main reasons we find fault with current leaders and directors is that we remember fondly great mentors of our past. Kyle Becchetti is a gifted and able leader, but even more important she cares deeply for those she leads. Kyle was my supervisor as the VP and CFO for Center for Student Missions. Now she leads Truthseekers as their Director of Operations. I remember how Kyle took up cross-stitch around the time that a few of her leaders were expecting children. I was leading the ministry in LA and she embroidered a bib for my first-born that said, "Natural Born Dodger Fan" with the Dodgers logo. That one did not get passed on! Finally in Denver we are seeing winter snow. With the beauty of snowflakes falling, we are also reaching very temperatures in the negatives at night. This is definitely a season for warm soup and staying indoors, but some of us don't have that option. The Colorado Coalition for the Homeless has a street team that takes advantage of the cold nights in meeting the needs of the community. Kevin Raleigh, one of those team members, spent Sunday night listening to people's stories and handing out sleeping bags, blankets, gloves, coats, etc to aid those that are bearing the cold weather nights. Sunday night in Denver reached to 2°C, a temperature that many would not survive in without layers and layers of clothes. What an enormous blessing it is for the Colorado Coalition to be helping those on the streets. As Kevin puts it "the majority of homeless persons spent their life being ignored, so it goes a long way when someone shows up and listens" and is meeting some of their immediate needs. Today, 1-11-11, is Human Trafficking Awareness Day! Did you know that 30 million people are enslaved TODAY? The United States is one of the top destinations for trafficking victims. "We cannot strengthen global efforts to end modern slavery without first accepting the responsibility to prevent, identify, and aggressively combat this crime at home. No country can claim immunity from the scourge of human rights abuses, or from the responsibility to confront them. As evidence of our dedication to a universal struggle against this heinous practice, the Department of State’s “Trafficking in Persons Report 2010″ included America in its rankings for the first time, measuring our efforts by the same standards to which we hold other nations. Looking ahead, we must continue to aggressively investigate and prosecute human trafficking cases within our own borders." Visit the Not for Sale Campaign website to learn more about modern day slavery and what YOU can do to fight it! Today is Human Trafficking Awareness Day. Did you know there are twice as many slaves today as in Abraham Lincoln's day? Did you know you can step up and help end human slavery? No one should be for sale. Today - you can commit to become an abolitionist. Join the movement! Part of what makes the CSM experience unique is the opportunity to pray for the city and the people living and dwelling there. Being in Washington, DC, we get to pray a lot for leaders and officials - not just the President, the Senate, the House, but also ambassadors and other leaders around the globe. A local Washingtonian has written a book that is reminding the church that we are called to pray for our leaders. The book takes a biblical approach and challenges us to pray for our President. Much like the approach CSM takes when leading the prayer tour, the author is hoping to not spark debate or political alliances but instead spark a renewal in praying for the 44th President. "I exhort therefore, first of all, that petitions, prayers, intercessions, and givings of thanks, be made for all men: for kings and all who are in high places; that we may lead a tranquil and quiet life in all godliness and reverence. For this is good and acceptable in the sight of God our Savior; who desires all people to be saved and come to full knowledge of the truth." 1 Timothy 2:1-4. Houston's Salvation Army Harbor Light Choir Encouraged to Dream Big! The Center for Student Missions (CSM) is an organization that provides short-term urban mission trip opportunities to students in 10 cities throughout the United States and Canada. One of which is in Houston! On this trip, your group will be staying in the heart of the city, and most of your meals will be eaten at ethnic restaurants in Houston. On your first night there, you will be given a tour of the city that will clearly show the problems that Houston is facing, but also you will be informed of the amazing things that God is doing in the city to further His Kingdom. Finally, you will be able to put your hands to work alongside ministries that are working day in and day out in urban ministry. The experience that our group had with CSM was unlike any other. Being thrown into an urban environment like Houston and truly do work that had meaning, all the while growing closer to the people in our group was amazing! We were blessed by the amazing stories of every person we met from the homeless to the children to the elderly, and it was a great opportunity for all of us to practice sharing our stories, too! It is an understatement to say that the experience that our group had with CSM Houston changed lives. It brought our students closer together, but more importantly it opened their eyes to see that there is a much larger world than the one they experience every day. CSM does a great job of showing students that human suffering is real and it is truly at your backdoor, but they also place students in positions to be able to work with people who are attempting to alleviate that suffering. 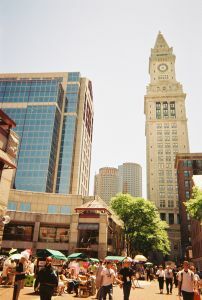 Come Serve with CSM in Boston! CSM is looking for a group to come be a "test group" for us in the city of Boston! Come be a pioneer as we partner with some amazing ministry partners and explore all that God's doing in this beautiful, historic city. The ideal group would be college-aged or senior high, 7-10 or 14-20 people in total, up for a challenge, able to serve for a week and flexible as they'll be one of the first groups to ever serve with CSM in Boston! We're looking for a group to come the week of Feb. 21 - can your group answer the call?? Email us or call 949-248-8200 for more information! Kit Danley works with Neighborhood Ministries in Phoenix, AZ. Check out more Urban Entry videos!